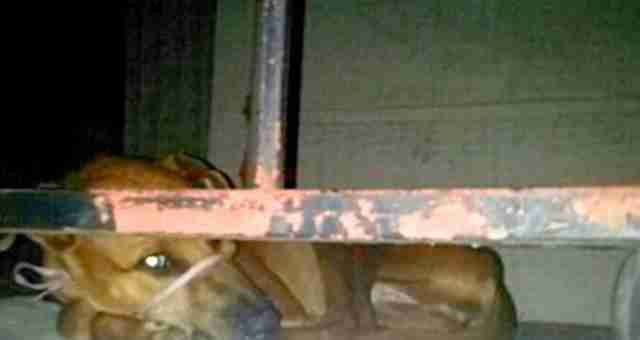 He says he's sorry for binding this dog's mouth shut and forcing her to wear a diaper. 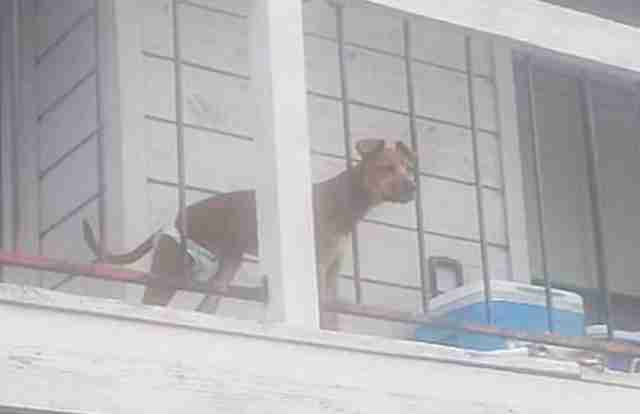 Images of a dog in various states of distress have flooded social media since The Dodo first wrote the story about June, the so-called #PorchPooch who spent days earlier this month trapped in hell on a balcony. Her plight captured world headlines and swamped the office of Harris County District Attorney Devon Anderson in angry complaints. 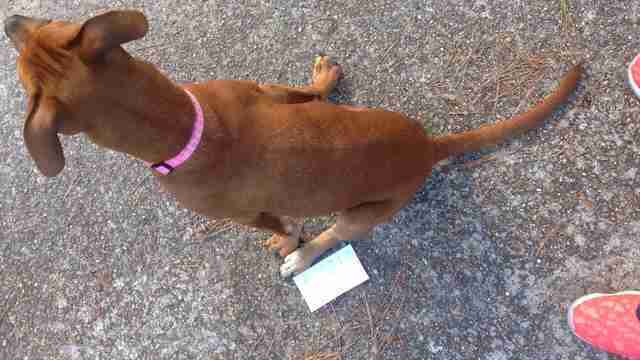 A woman even says she was arrested on mischief charges for sharing images of the dog online. 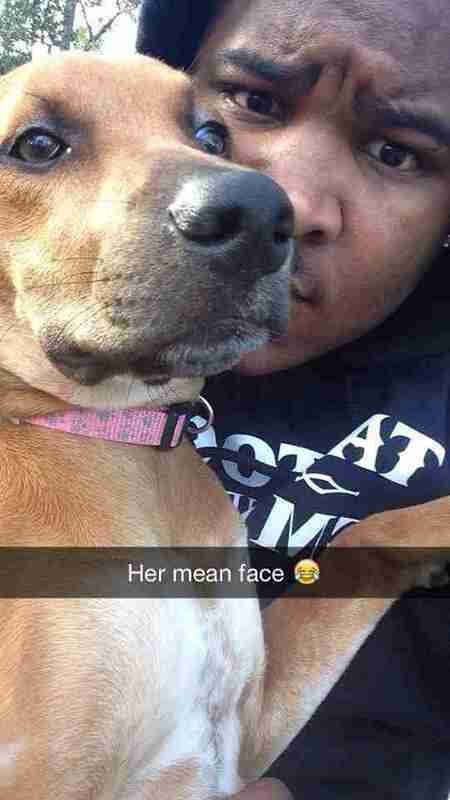 Ultimately, no charges were laid against the man who did this to June, Houston resident Dukkie Love. But in an interview with The Dodo he says he has no excuses whatsoever. "I'm not saying it was right," he says. "We both know it was wrong." At the time, Love was staying with his brother at the Villas of Westador condominium complex. Although he wasn't June's owner he agreed to take care of her temporarily for a friend. "June wasn't able to stay with her at the time," he explains. "So I had to let her stay with me for the time being. The situation really got out of hand." What happened next, he says, was the result of simply not knowing any better. "The shoestring around her mouth, I did it," he says. "When I spoke to animal control I told them that as well." "They said, 'You can't do that. You can't make a homemade muzzle and put it around the dog's mouth. They need to sweat and how they sweat is through their mouth.'" And the diaper? "That was a regular diaper for a dog. It wasn't a human diaper. It was a regular diaper I got from Walmart." 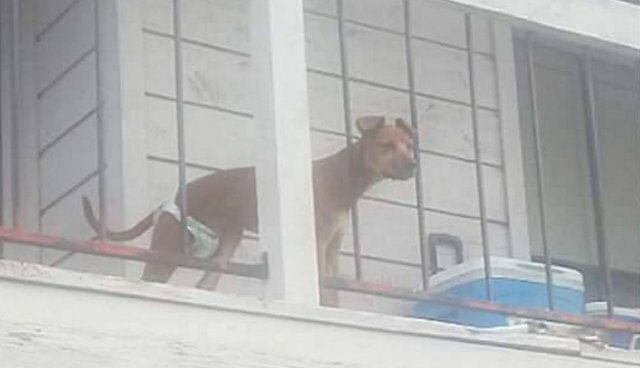 Love says he didn't put on the diaper after neighbor complained that June was relieving herself on the balcony - but rather, he had been told June was about to go into heat and would likely bleed. "I'll never make that mistake again. It'll never happen again." One reassuring reason that might be true: Love gave June back to her original owner. "She's back home where she belongs," he says. "Her owner takes wonderful care of her." Indeed, recent photographs of June seem to paint a much brighter picture. But Love claims he and June still have a bond. "I would do anything for her," he says. "She's my joy. I look forward to seeing her just like she looks forward to seeing me." Considering what happened while June was under his care, how often will that happen now? "There's restrictions to that," Love says. "But it's understood."